Gloucester, VA – What happens when you give a young man who has been racing his entire life the chance to race something different, something new, something fast? If that wasn’t one of the easiest questions you have ever answered I would be willing to hear what that question was in the comments bellow. 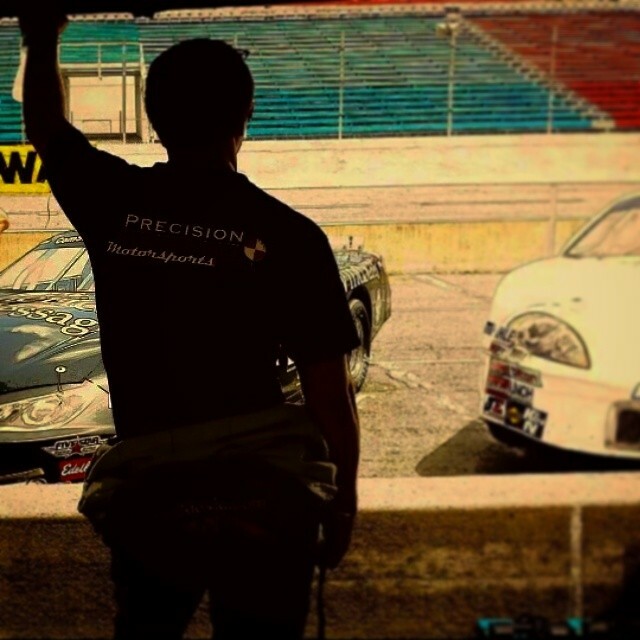 News broke from earlier last week that local NASCAR driver Brandon Gdovic (Precision Performance Motorsports – PPM) of Gloucester, Virginia has teamed up with Mitchum Motorsports to bring the driver into a whole new spectrum of racing. For those who do not know, Mitchum Motorsports located in Virginia Beach, Virginia was found in 2001 and have been running Grand-Am/IMSA Continental Tire Sports Car Challenge series with their Chevy Camaro & BMW. They will also field cars in the Super Trofeo North America series, a 6 track, 12 race series where all the drivers will wheel the same Lamborghini Cup in each race. Going from full body, well I say full body and stock car lightly due to the fact that Gdovic spent most of the 2014 season racing anything that someone would put him in a seat, to a Sports Car running all road courses. Gdovic spent most of the 2014 season in the NASCAR Whelen All-American Series in a Late Model Stock car, also appearing and winning in an IMSA style open wheel modified, all while running a limited K&N Pro Series East schedule. On top of that Brandon ran in the INEX Legend series and ending up winning a track championship at his home track of Langley Speedway. So back to my question, why give all that up to run the sports car? Needless to say this young man is going to have one busy 2015 season and we are going to do our very best to keep you up to date as he works his way through this new adventure.